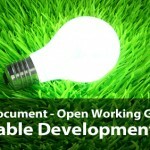 Over 100 representatives from environmental organisations from all over the world gathered in Copenhagen from 19-21 June. The occasion is the Foundation for Environmental Education (FEE) General Assembly (GA) at UN City in Copenhagen. Many topics concerning environmental education and education for sustainability were discussed and decisions taken concerning the future direction of FEE. The meeting will be attended by the Danish Minister for the Environment, Kirsten Brosbøl, and by Professor Hans Bruyninckx, Executive Director of the European Environmental Agency. EASD, represented by Prof Andjelka Mihajlov, National FEE Mentor for Serbia, was approved as the FEE FULL MEMBER ORGANISATION. 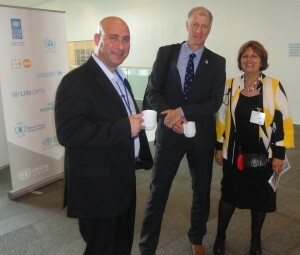 Daniel Schaffer CEO of FEE, Professor Hans Bruyninckx, Executive Director of the European Environmental Agency and Andjelka Mihajlov, Environmental Ambassador for Sustainable Development. 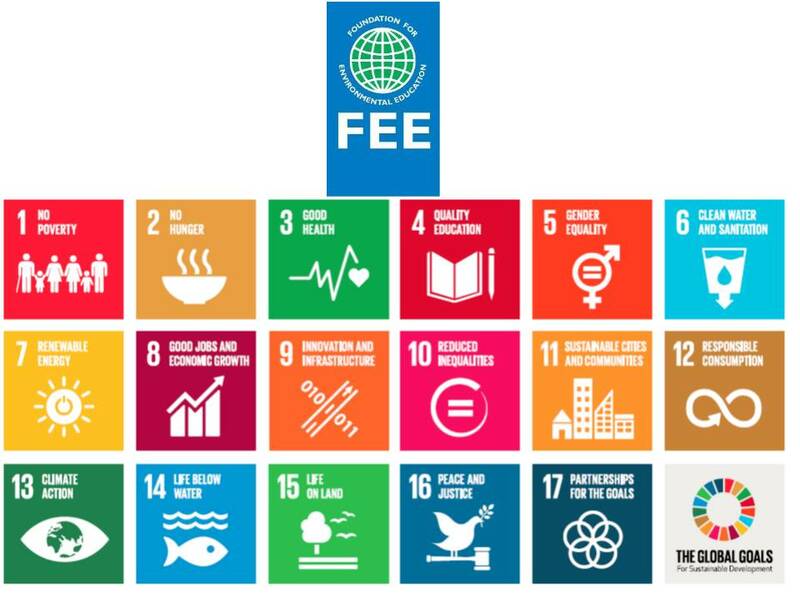 FEE is a non-government, non-profit organisation promoting sustainable development through environmental education worldwide. FEE is mainly active through its five environmental education programmes: Blue Flag, Eco-Schools, Young Reporters for the Environment, Learning about Forests and Green Key. The programmes engage over 14.5 million students from kindergarten through to university in environmental education. More than 4000 Blue Flag sites and 2100 Green Key sites have been awarded with these prestigious eco labels. FEE is an umbrella organisation with one member organisation per country in charge of implementing FEE programmes nationally. 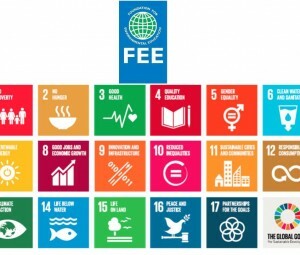 Currently, FEE has member organisations in 68 countries worldwide including the USA, Africa, China, India, Australia and most countries in Europe, including Serbia. FEE holds a GA every two years. The GA is the highest authority of the organisation and is used for determining the overall policy and direction of the organisation. For the FEE GA 2014 in Copenhagen, the staff at the FEE Head Office aims to provide the delegates with an impression of Copenhagen as being one of the most environmentally friendly capitals in the world.